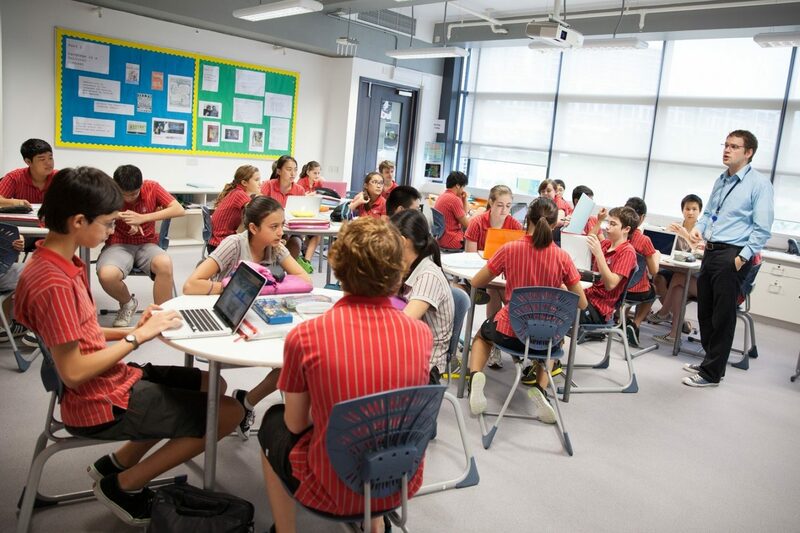 The two ESF all-through schools, Renaissance College and Discovery College, cater for MYP students in Years 7 to 11. The other five ESF secondary schools are aligning the school curriculum for Years 7 to 9 to the MYP framework. The MYP prepares students to become active, caring, lifelong learners who demonstrate respect for themselves and others and have the capacity to participate in the world around them. Learning focuses on the development of the whole child as an inquirer, both in and beyond the classroom and encourages students to be critical, creative and reflective thinkers. The MYP is a framework on which to hang a challenging and rigorous curriculum, which provides authentic, real-world connections to the learning in the classroom. As a further means of developing autonomous, self-directed learners, students are given the opportunity to demonstrate their learning through completing a project, which encourages reflection on their learning and outcomes of their work. This is a long-term project, which is embedded within a global context and generates a synthesis of creative and critical thinking and approaches to learning through an in-depth investigation. Students who complete the MYP in Year 3 or Year 4 complete the community project, enabling them to develop their commitment to service as action within the community. All students who complete the MYP in Year 5 complete the personal project.